I first made this necklace as a commission for a member of my lovely family. I have since done a little more digging to find out a bit more about the triquetra. And here is what I have found out. The word itself Triquetra comes from the latin for “three” and quetrus “cornered”. (handy having a mum who speaks Latin!) It has evolved with the addition of the circle. Which made it even trickier (but more enjoyable) to make. 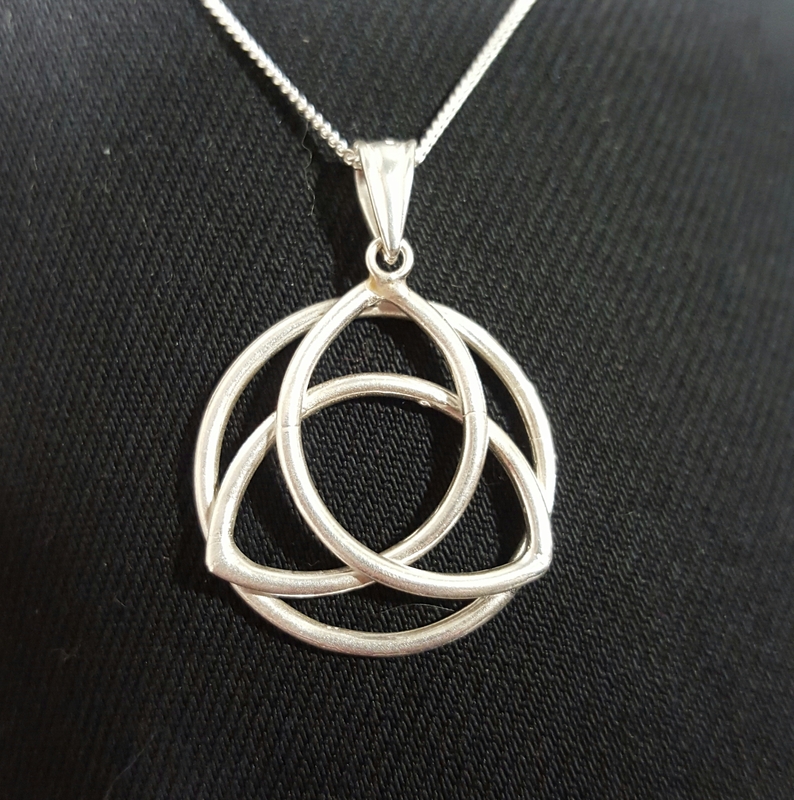 It is also known as a “trinity knot”, or the Celtic triangle. The design is used by Christianity as a symbol of the “Holy Trinity” (God the Father, Son and Holy Spirit). And in Pagan religions as the “Triple Goddess” (Mother, Maiden and Crone). It is similar to Odin’s symbol, the valknut, which is three interlocked triangles. There is also a tradition for a loved one to give a gift such as a necklace or ring signifying their affection. 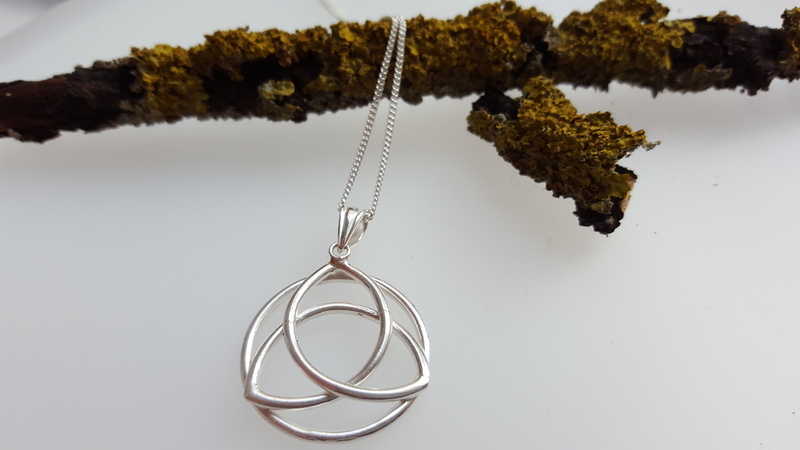 The triquetra, is believed to represent the three promises of a relationship such as to love, honour, and protect, similar to the Claddagh design of the crown (loyalty), heart (love) and hands (friendship). 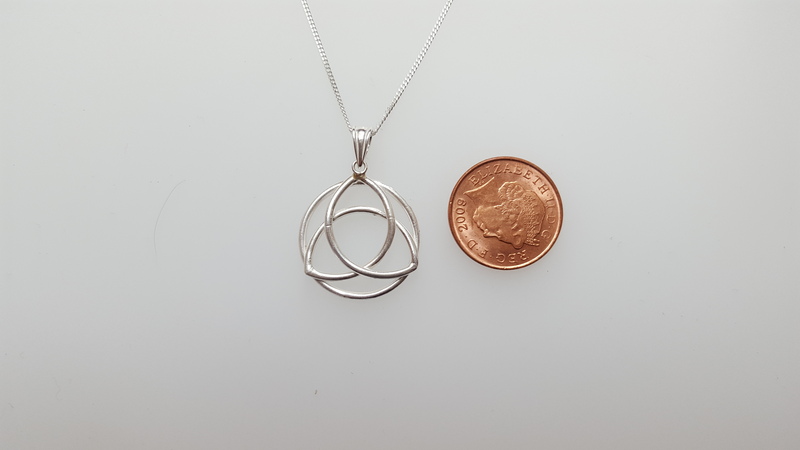 So no matter what your beliefs this necklace is a powerful symbol of love and unity.